Ships tomorrow if you order in the next 21 hours 57 minutes. AMPK is a critical gene in the human body that helps maintain and control the amount of energy that is used to drive cell metabolism. 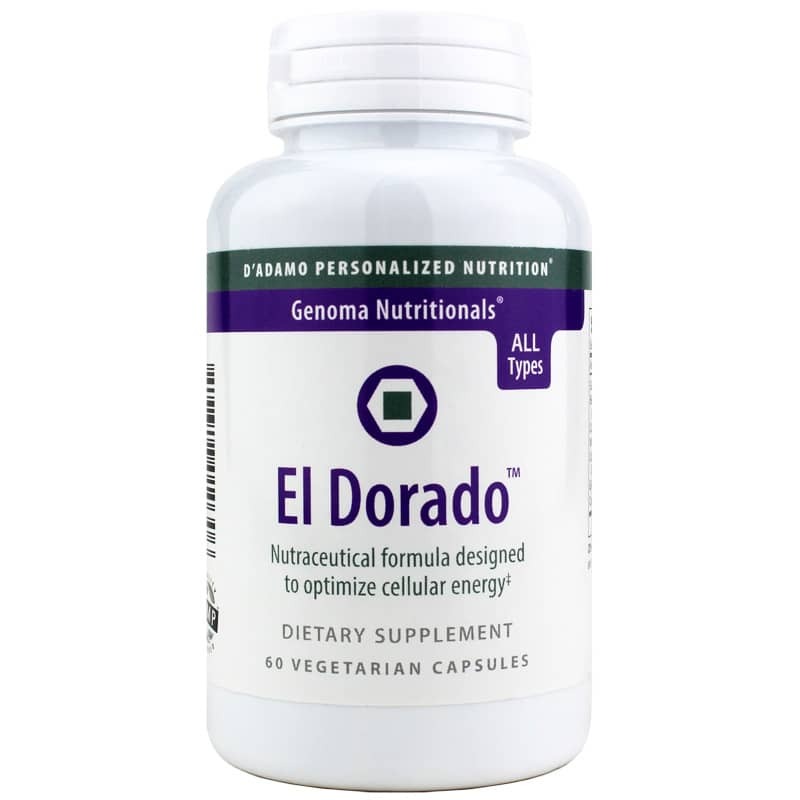 Keeping this gene in tune is vital to maintain a healthy overall metabolism, and if you?re in need of a supplement that provides support, D' Adamo Personalized Nutrition offers a great option. Every batch of this product is made without the use of most common food allergens, including wheat, gluten, and dairy, and never contains preservatives or artificial colors or flavors. 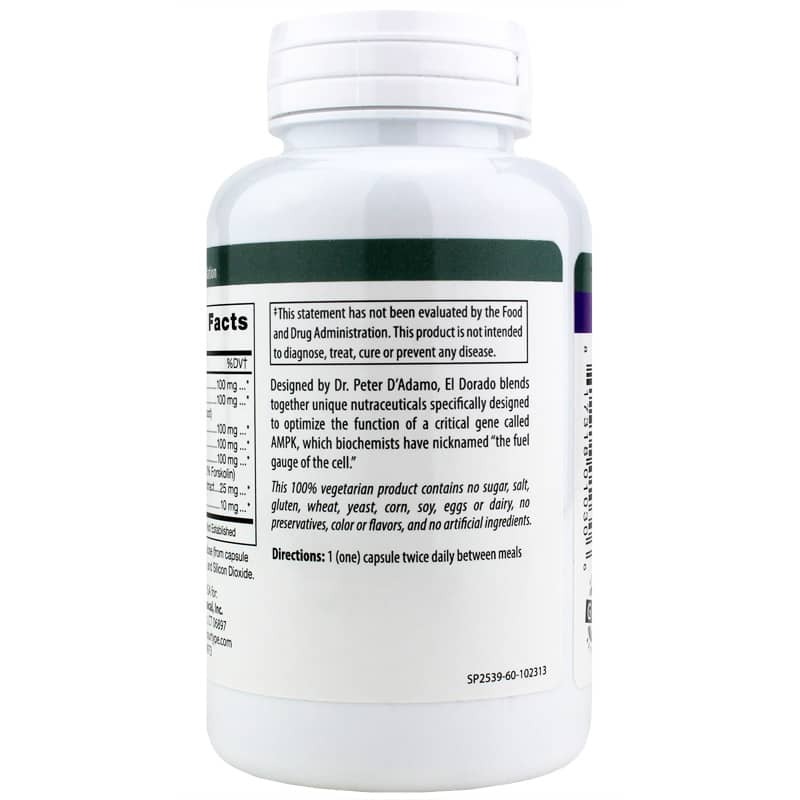 It is 100% vegetarian-friendly, and comes in a capsule form that is easy for adults of all ages to swallow. Just one capsule twice every day with healthy meals may help keep you on the all-natural pathway toward optimal overall health and an increased sense of wellness. Give El Dorado a try today. Order now! Other Ingredients: vegetable cellulose (from capsule shell), magnesium citrate, L-leucine and silicon dioxide. Contains NO: sugar, salt, gluten, wheat, yeast, corn, soy, eggs or dairy, NO preservatives, color or flavors and NO artificial ingredients. 100% vegetarian. 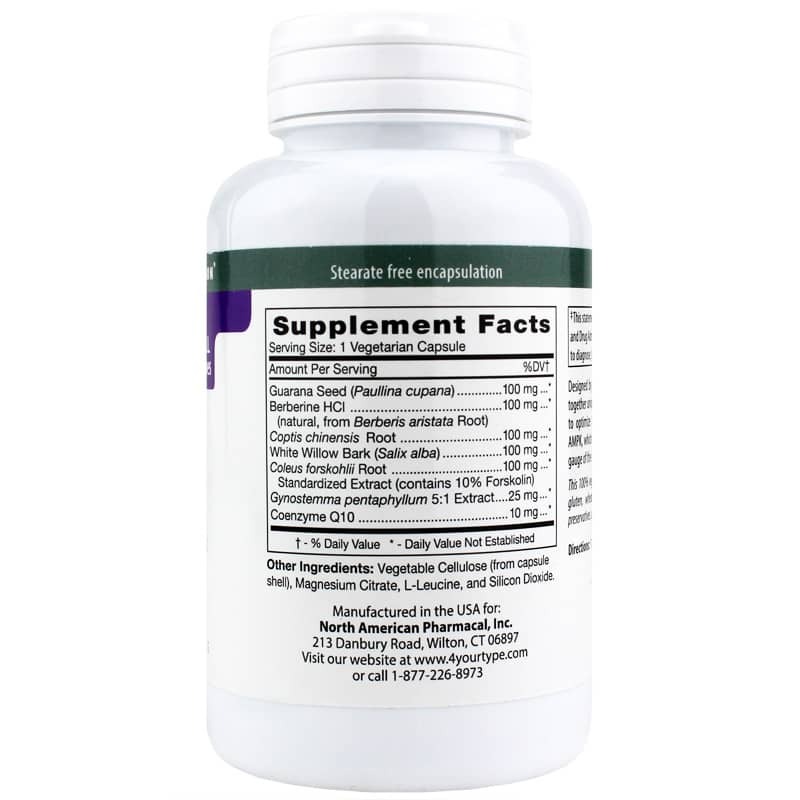 Adults: As a dietary supplement, take 1 capsule twice daily between meals.